Film review, by Nadine Shambrook, of Hotel Artemis, starring Jodie Foster as a nurse who runs a secret emergency clinic for criminals hiding out until the heat calls off. In 2028 Los Angeles, riots break out due to the privatisation of water. After a half successful bank robbery, two brothers hide out at the secret Hotel Artemis run by a nurse and her assistants, where criminals can get the emergency care they need, if they follow the hotel’s rules. With the riots getting worse and the infamous Wolf King on his way to visit the hotel he owns, nurse has a busy night ahead to ensure Hotel Artemis runs smoothly. There are many reasons someone might be dying to see the latest film. It could be the cast, the director, the story or most commonly nowadays, the franchise. 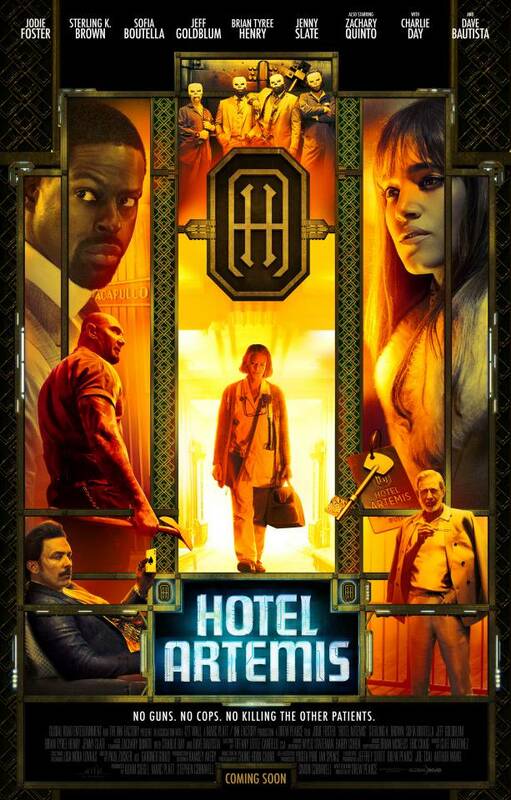 Hotel Artemis is an original film, no adapted material or spin-off in sight, which was one of the reasons I was looking forward to this dystopian thriller. I was however also keen to see Drew Pearce’s directorial debut, who you will know from writing Iron Man 3 and being a well-known writer in the industry. Pearce has polished scripts for the likes of Oscar winner Guillermo del Toro and his ‘robots fighting monsters’ sci-fi Pacific Rim, created the story for Mission: Impossible – Rogue Nation and is on board to pen Guy Ritchie’s third instalment of his Sherlock Holmes series. A pretty impressive guy as you can see. Here, Pearce writes and directs, featuring one of the best concepts I’ve seen in a while. It’s about a secret hotel in which only members are allowed to check in, where you can get fixed up after any crime related incident or hide away from the police or the gang you’ve just robbed. All you need to do is the follow the rules: no fighting or killing other patients, treat the staff nicely, no weapons, pay your membership. It’s simple and uncomplicated; all it needs is a stellar cast and a thrilling story to be the makings of a cult classic. Unfortunately, the story doesn’t deliver, making this visit to Hotel Artemis underwhelming. Maybe when a concept is so good, the story was never going to compete. Pearce’s story doesn’t know what it wants to be. It switches between being a simple setup and an elaborate story with twists and turns. There’s no background to the characters at the beginning, then suddenly we get flashbacks to provide reasoning behind motives and it turns out almost everyone knows each other from previous events. 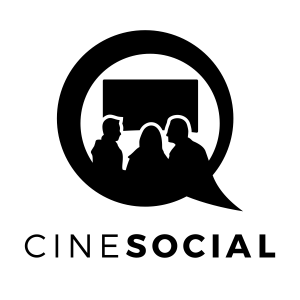 Due to the length of the film (a refreshing 90 minutes! ), there’s no time to explore this further to get any enjoyment out of these links. 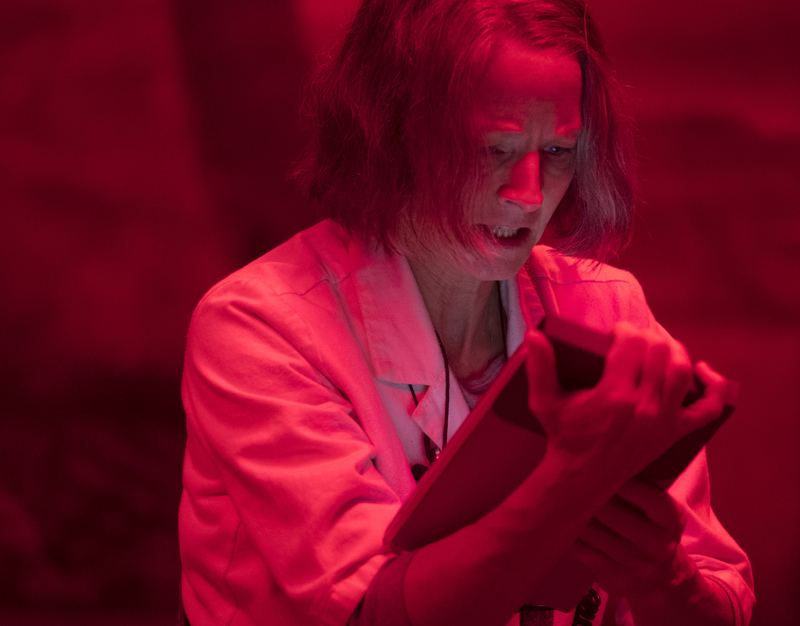 Jodie Foster is seeing red for emergency in Hotel Artemis (2018). The actors could not have been cast better. In her first film in 5 years, Jodie Foster is the anxiety stricken Nurse who takes her job and the rules of the hotel seriously, and Sterling K. Brown is the most likable guest, playing Sherman, who is keen to keep the place running smoothly so his brother Honolulu (Brian Tyree Henry) can recover from a gunshot wound. Even Charlie Day as the vulgar arms dealer Acapulco and Sofia Boutella as ferocious assassin Nice show they’re far better than the script allows them to be, which is a shame when the cast were so promising. One thing that Hotel Artemis does well is prove that Dave Bautista, as hotel assistant Everest, is just as good a wrestler-turned-actor as ‘The Rock’, by showing that he can do funny and emotional. He deserves better films. Hotel Artemis had the potential to be the latest flashy, cool noir thriller, but as the story dully unfolds and the cast try so hard to redeem any excitement left in the film, there’s no denying that we won’t be returning to Hotel Artemis in the future. Producers: Simon Cornwell, Stephen Cornwell, Marc Platt, Adam Siegel. Sets: Samantha Avila, Jonathan Carlos. Jodie Foster, Sterling K. Brown, Sofia Boutella, Jeff Goldblum, Bryan Tyree Henry, Jenny Slate, Zachary Quinto, Charlie Day, Dave Bautista, Kenneth Choi.